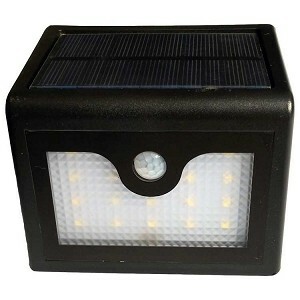 Bright Solar Lights for Entrances and Driveways! 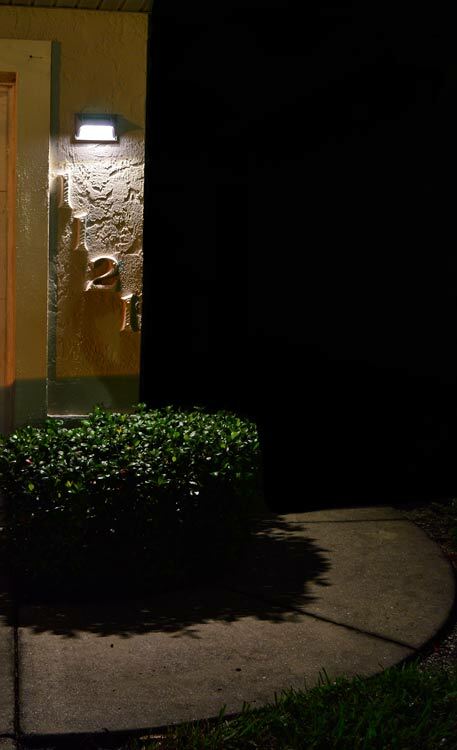 VISTA is motion activated with 16' of super bright light from an incredibly small motion solar light. Automatically turns on at night at 20% brightness until someone walks by. Then is goes to full power for 20 seconds. Here at free-light, we use matt glass covered solar panels for long life. The solar panels on other brands change colour because of sunlight and weather, and once that happens the battery can no longer charge so the light stops working. Not with free-light! Installs in seconds, brightens for hours, lasts for years. Buy VISTA today! 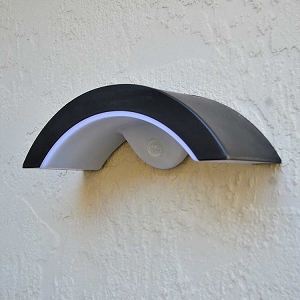 BRIGHTON is a stylish all-purpose and powerful solar entrance light with motion sensor that projects light down to the ground. Can be mounted as high at 8' off the ground. The over-sized glass covered solar panel charges the lithium battery quickly each day. Lighting time for BRIGHTON is up to 12 hours on a full charge. Twenty (20) bright SMD LEDs offer tremendous light output each night. 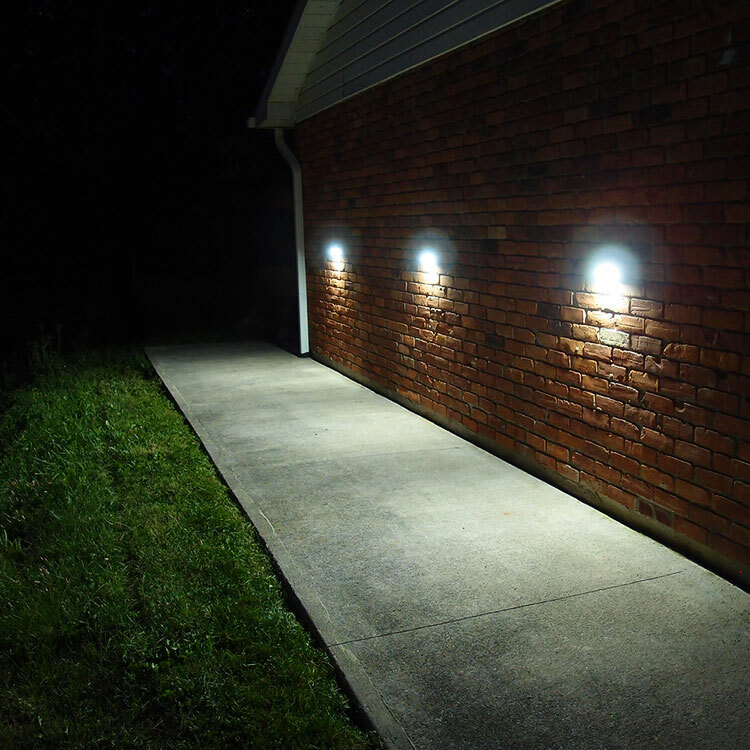 Great for entrances, stairs, fences and even as parking spot lights! BRIGHTON is a motion activated light. The light goes to full brightness for 20 seconds when motion is sensed, then goes back to dim light. See the BRIGHTON specs. 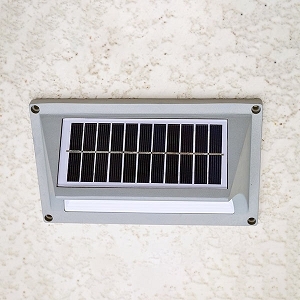 HORIZON Wall Mount Solar Light can be mounted as high as 6' off the ground. The over-sized glass covered solar panel charges the lithium battery quickly and efficiently, lighting up your night up to 14 hours on a full charge. HORIZON includes 5 bright SMD LEDs offering a lot of reliable light each night. You can use HORIZON as an entrance light, parking spot light, along fences, docks, stairs, even as a column light. Buy HORIZON now. Browse the complete free-light catalogue of premium quality solar lights today. Happy shopping!